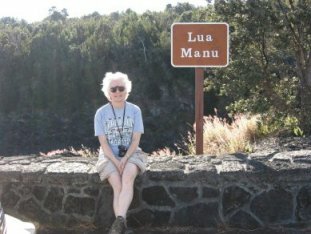 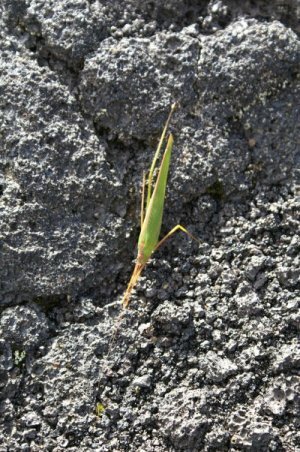 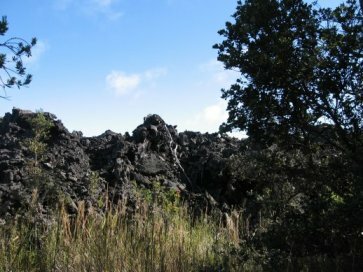 Pu'u means "hill" in Hawaiian, and Huluhulu means "shaggy." 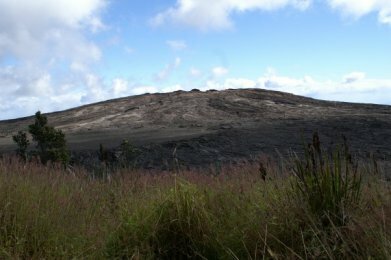 The hill has a shaggy appearance because it's old enough for there to be a good bit of vegetation on it, unlike much of the land you traverse to get to it. 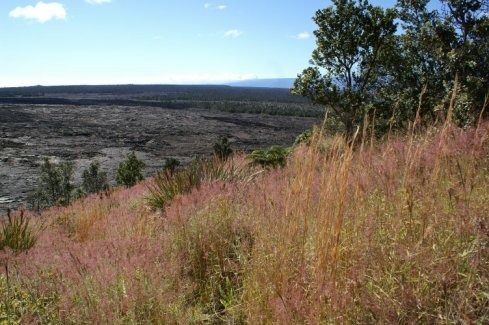 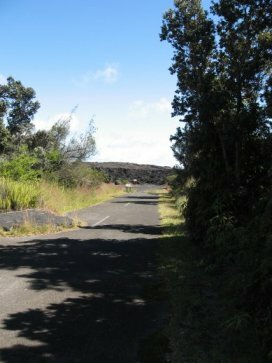 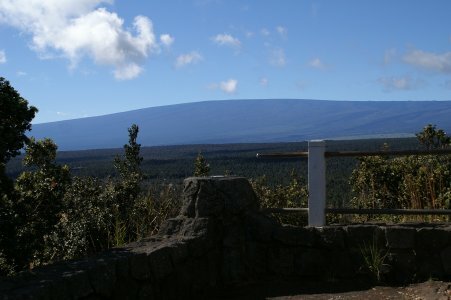 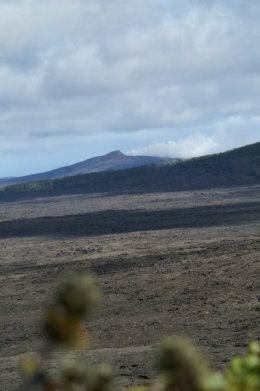 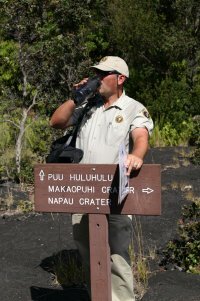 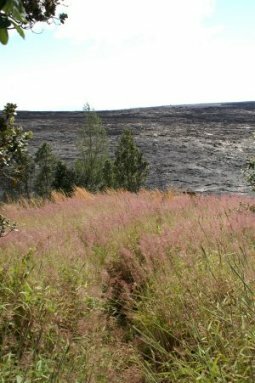 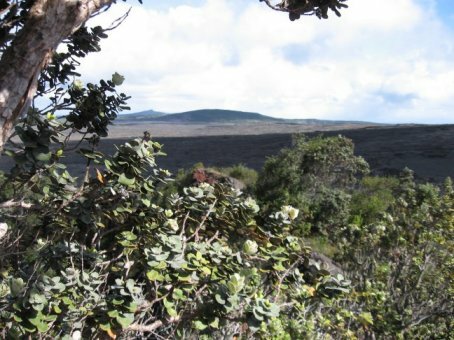 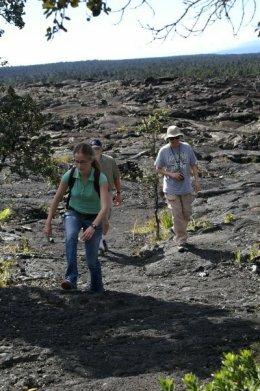 The first part of the trail led through a kind of meadow/scrub vegetation ecosystem, but just off to the right we could see the lava flows left by fairly recent eruptions of Mauna Ulu, a nearby mountain. 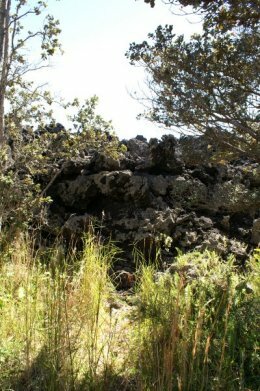 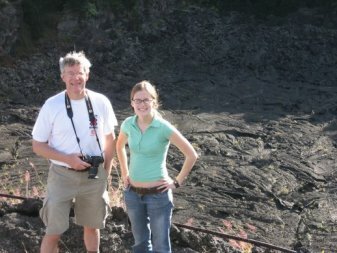 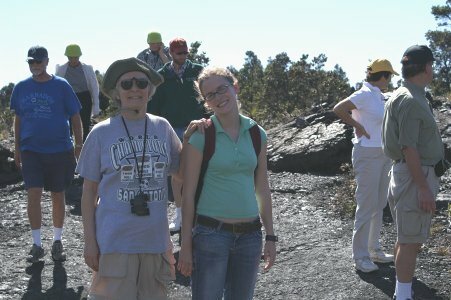 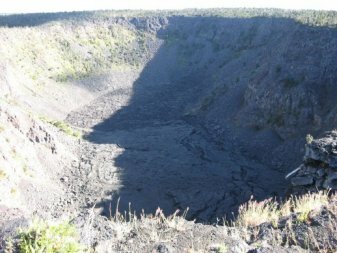 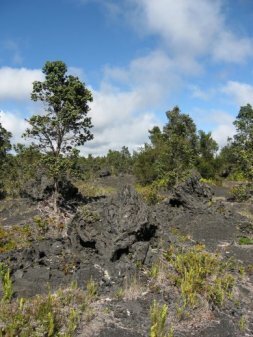 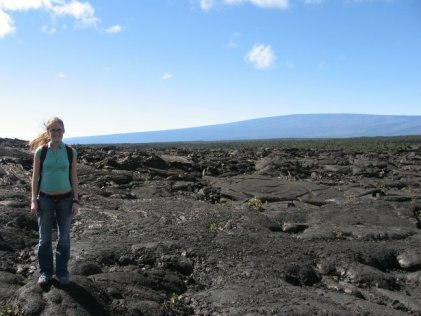 Gradually the trail led closer to the lava fields, with all kinds of interesting formations for us to see, like the "lava trees," made when the slow-moving lava encircles a tree and burns it up, leaving a hollow tube-like structure when the lava cools. 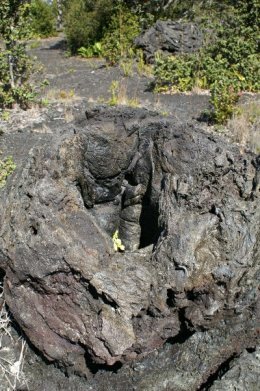 At left is a view of one of these "trees" next to a regular tree, and at the right is a view inside the tube. 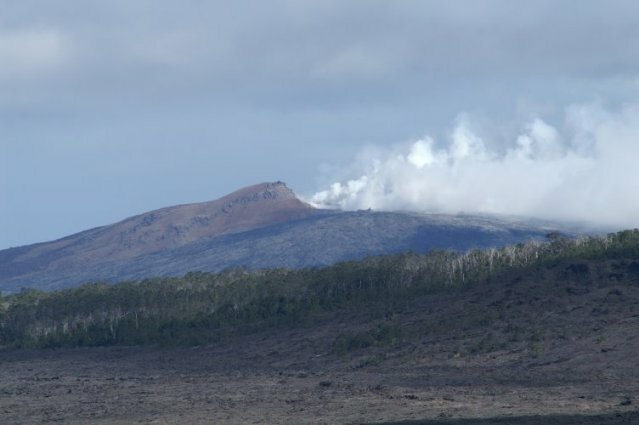 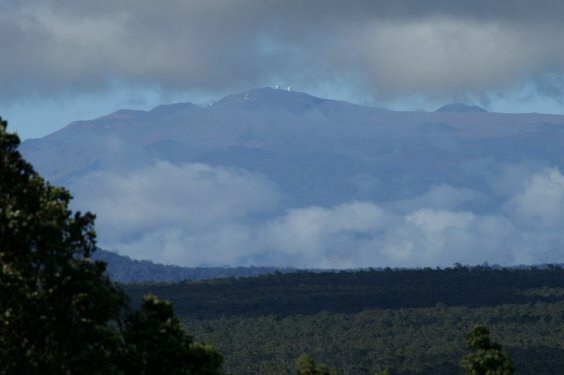 The best test of the good seeing was that we could see the steam coming from the Pu'u O'o vent, Kilauea's currently active one, 7 or 8 miles away.